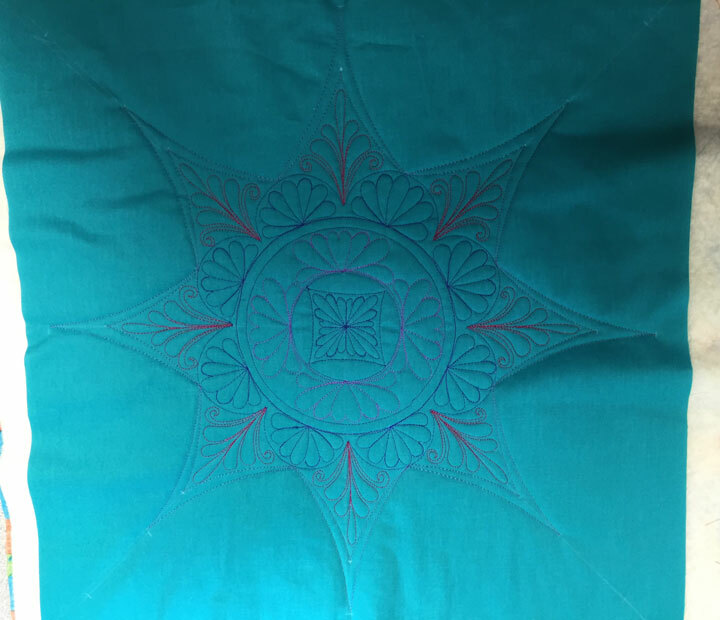 I have some ideas about how to finish this up, so hopefully I will get to it in the next few days! 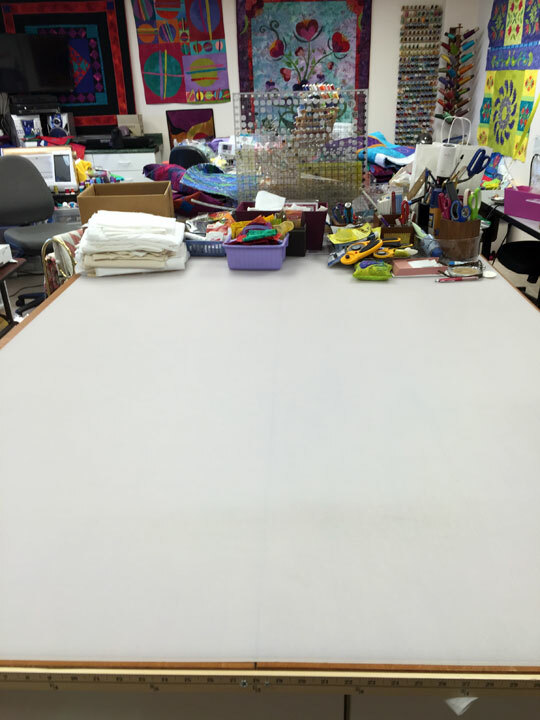 Hello From the Sewing Room! 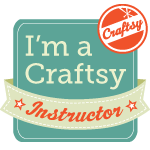 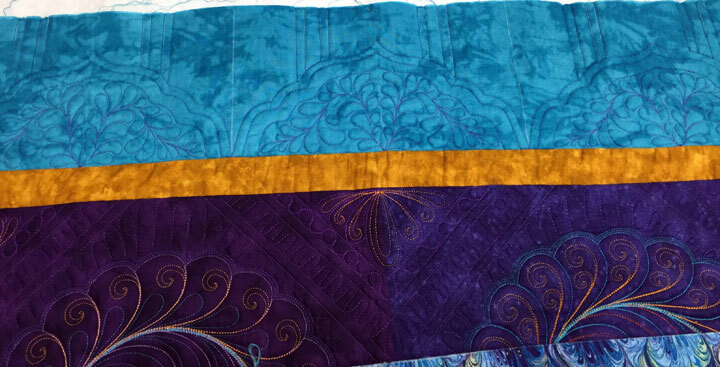 Can’t wait, but that is likely months away…on to the next project! 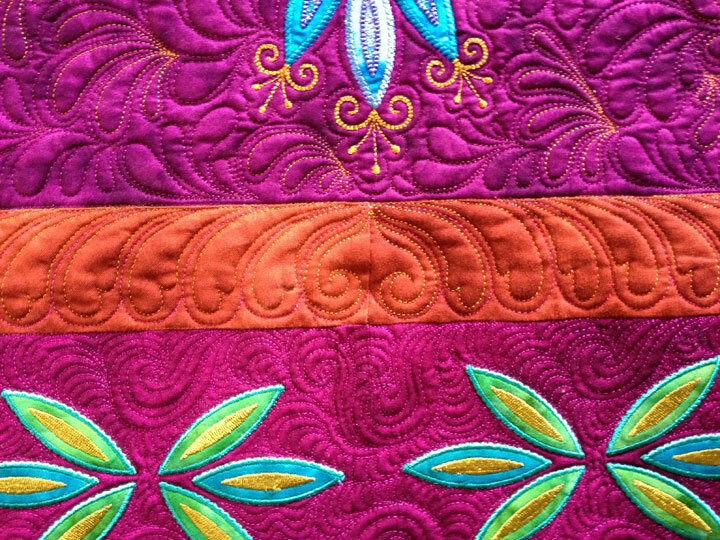 In “real life,” those thread beads really look 3D and you want to reach out and touch them. 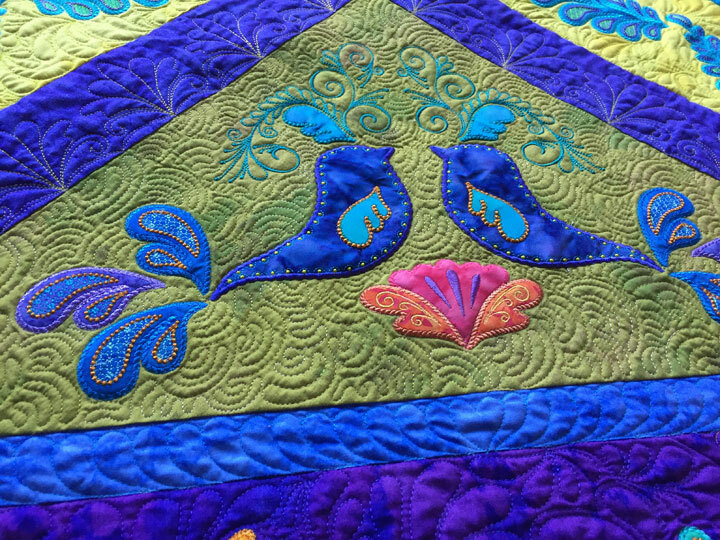 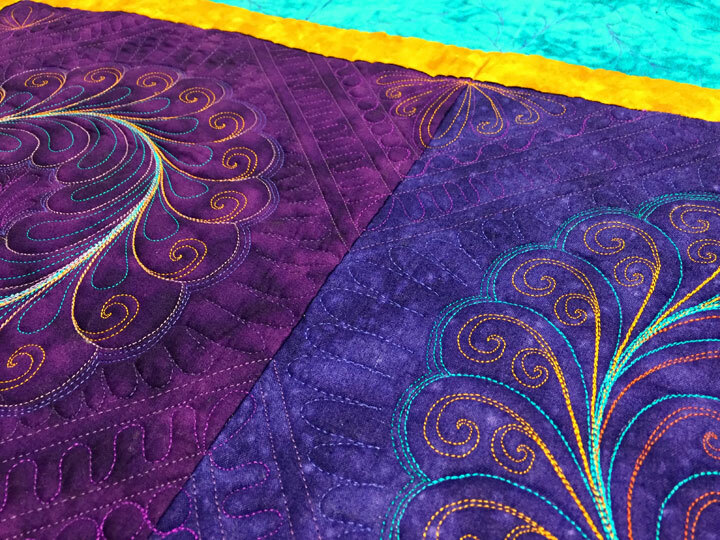 Can you see why I’ve had so much fun working on this quilt? 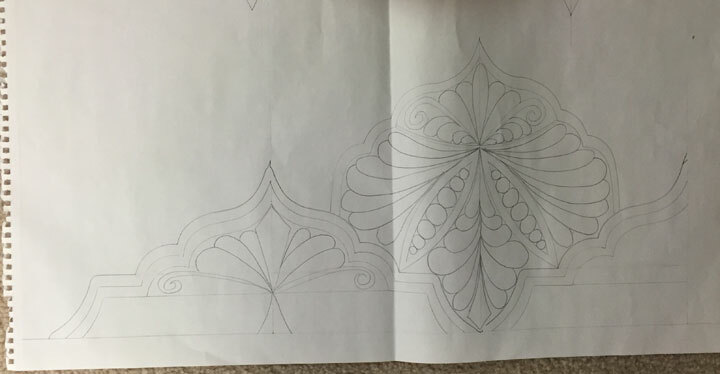 In Part III, I’ll tell you how to do the next 2 sections. 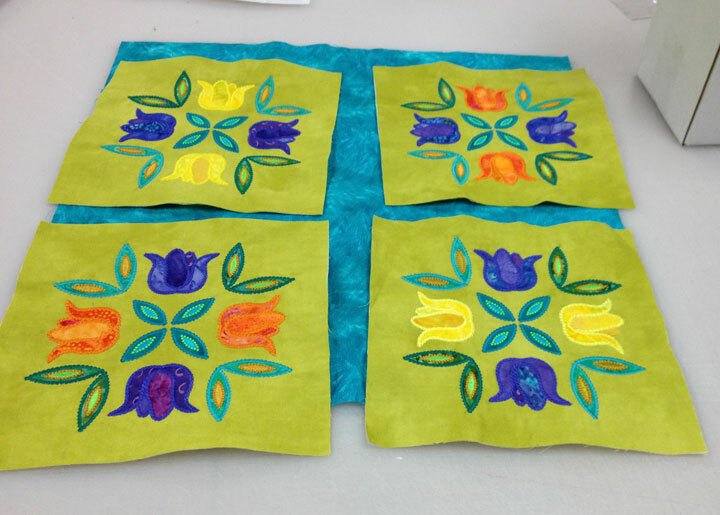 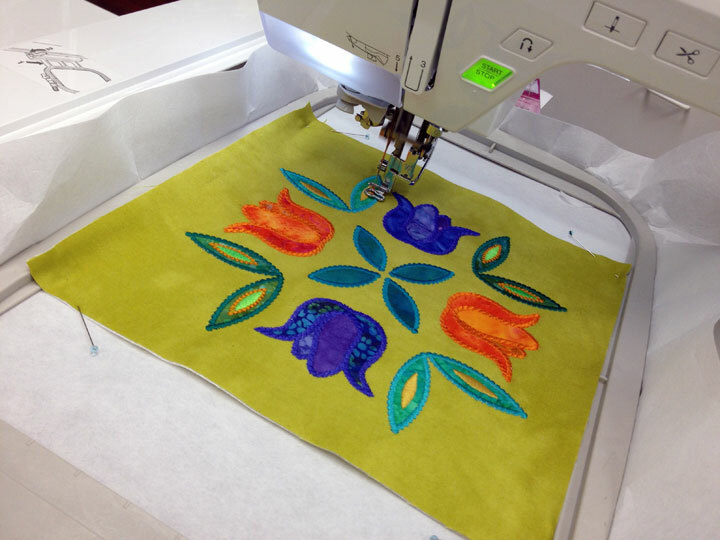 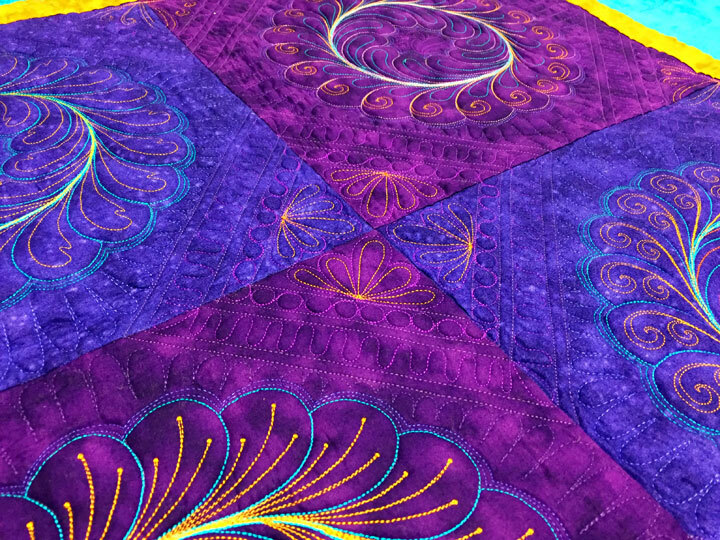 Until then, happy quilting! 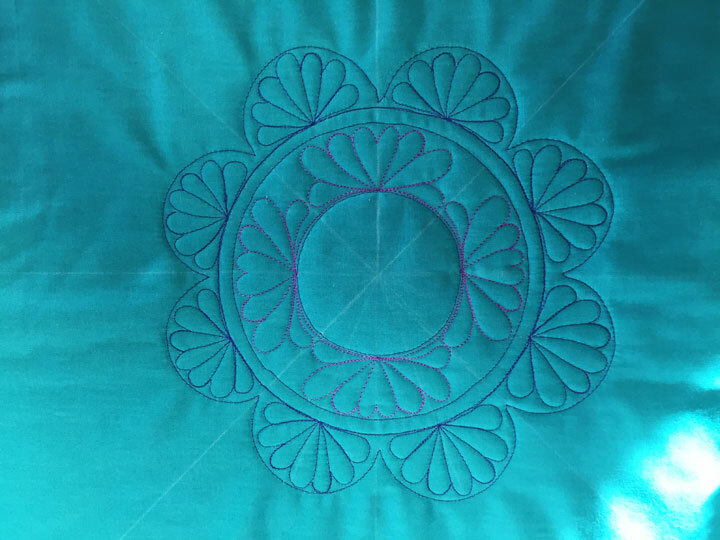 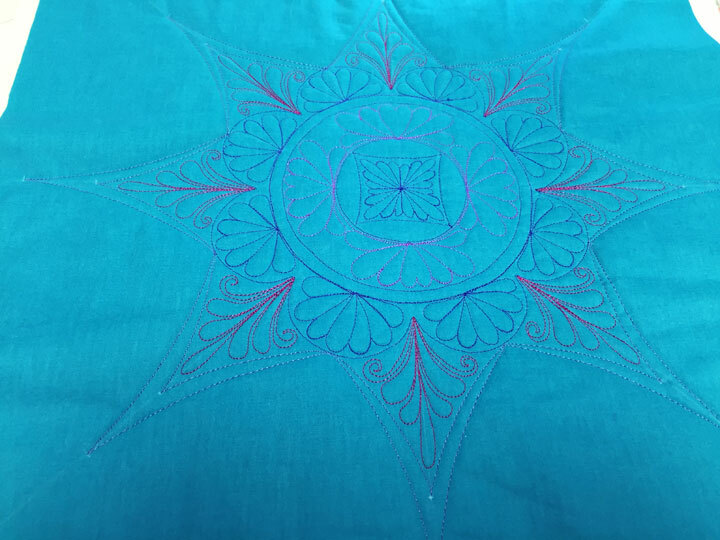 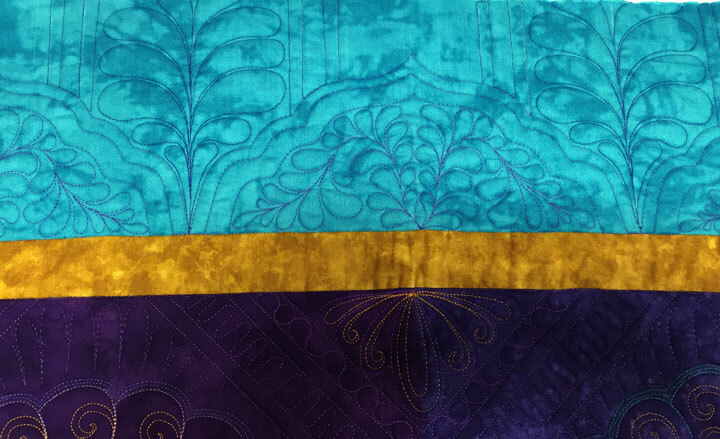 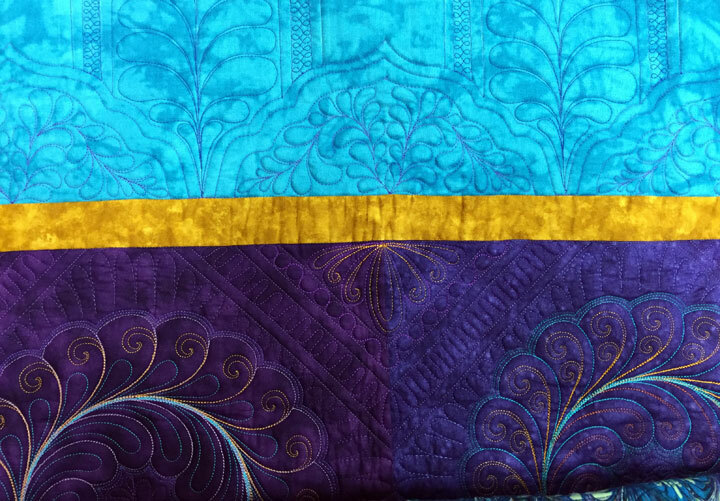 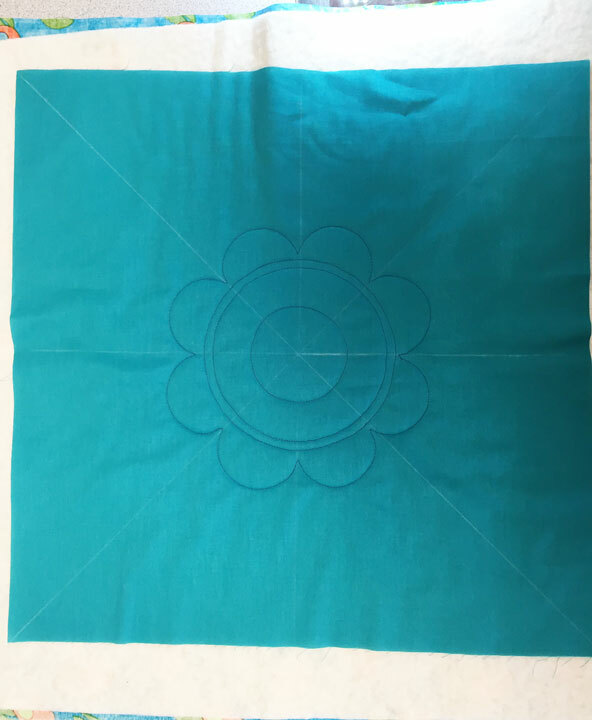 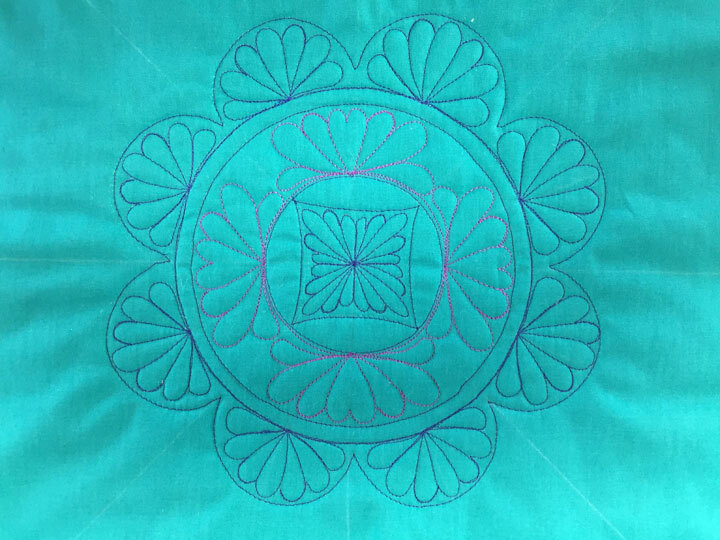 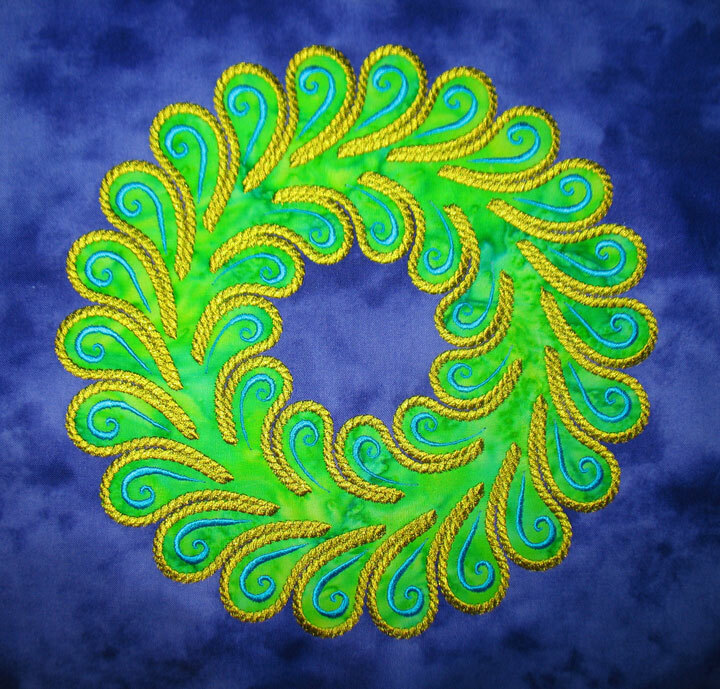 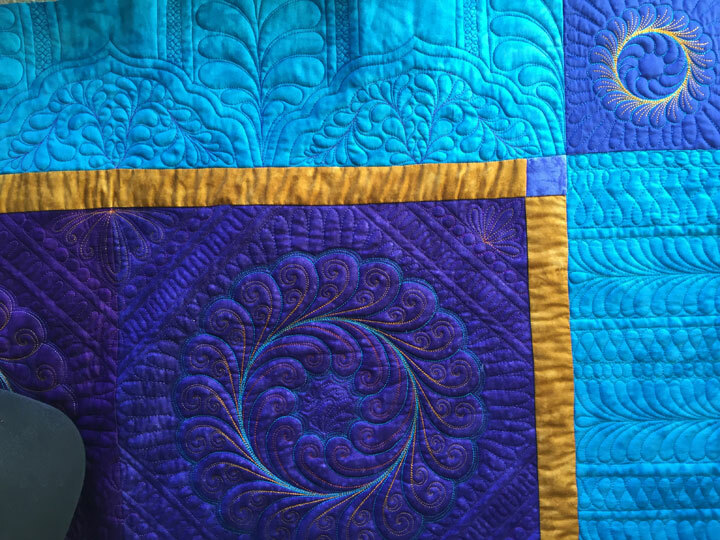 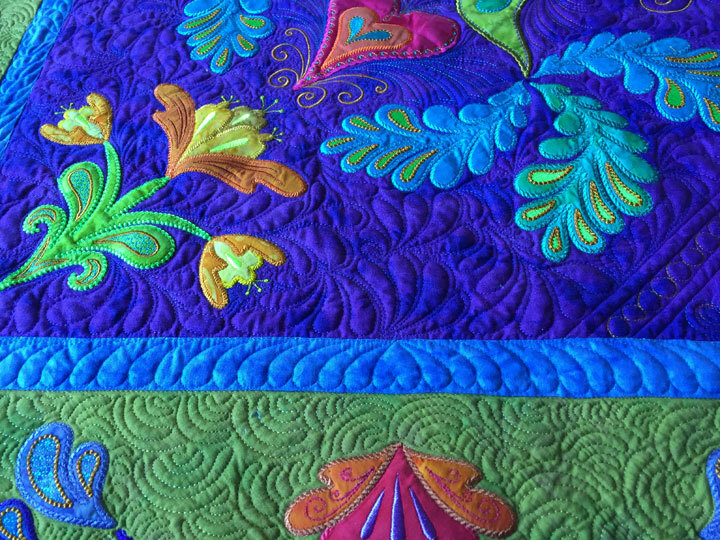 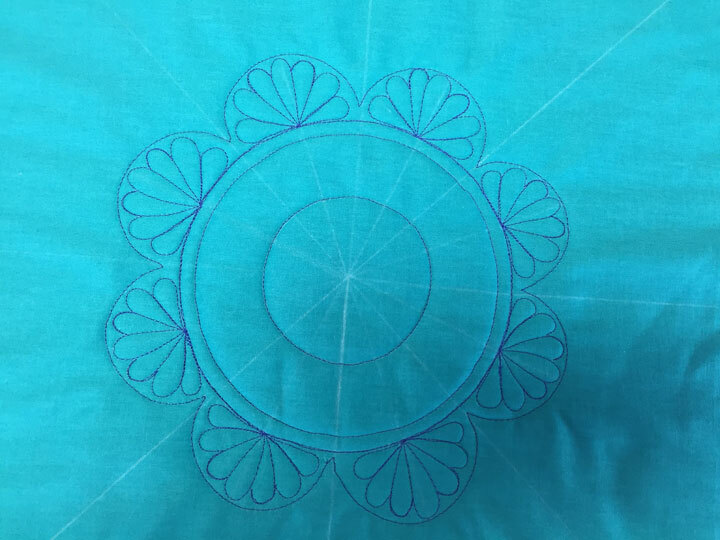 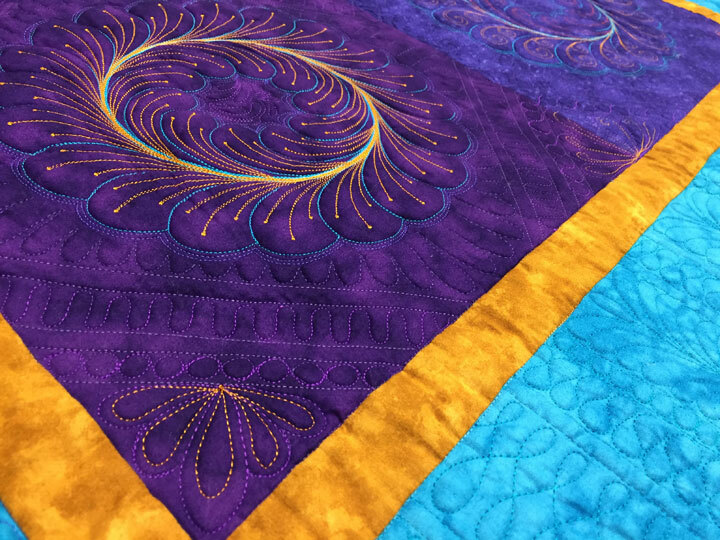 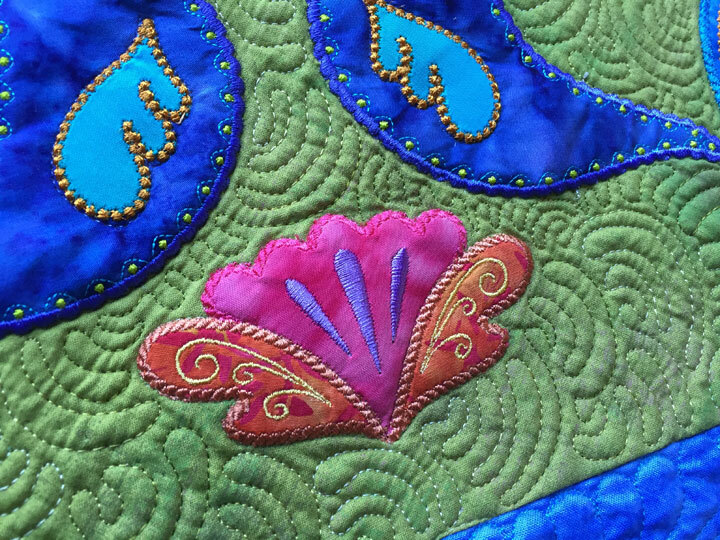 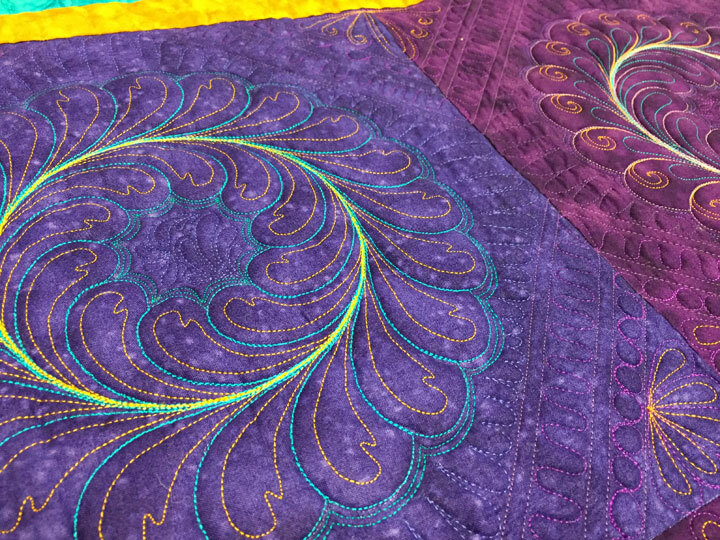 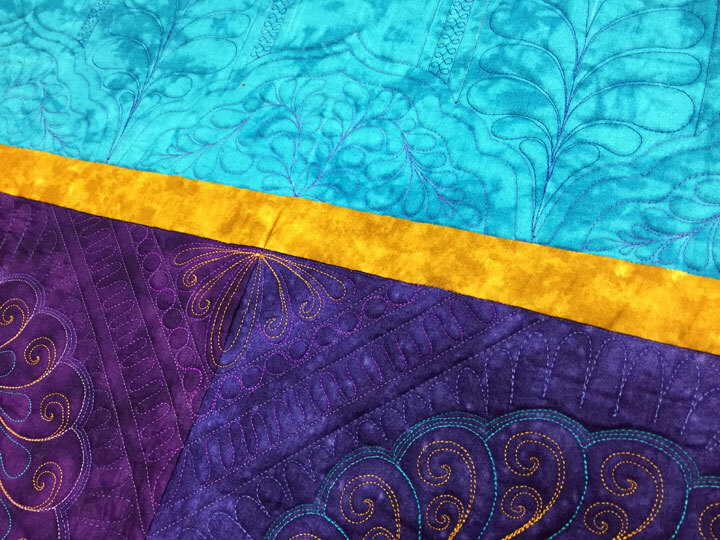 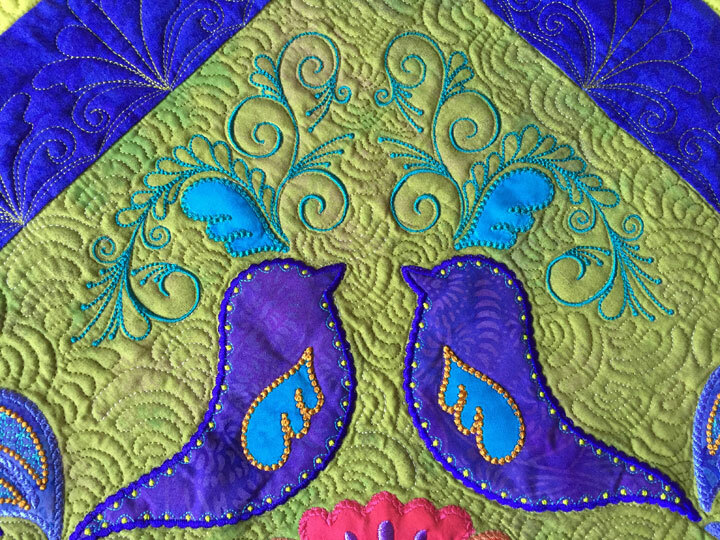 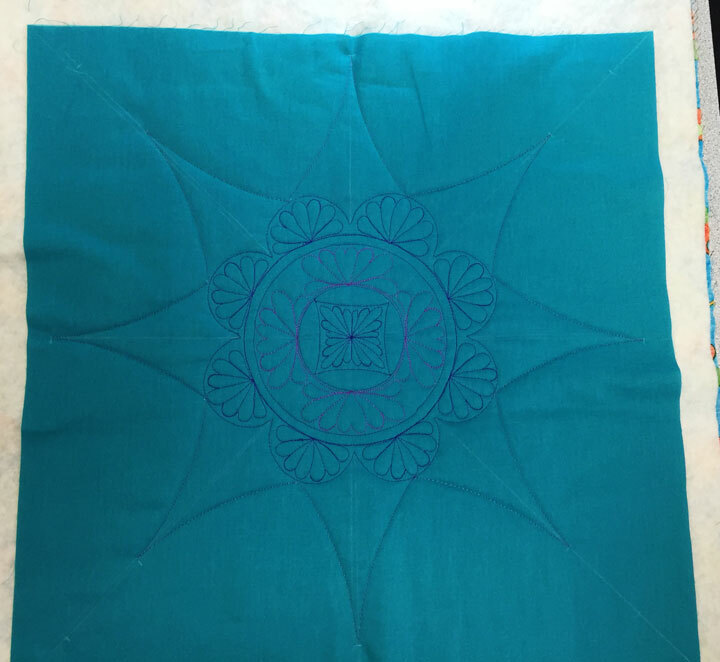 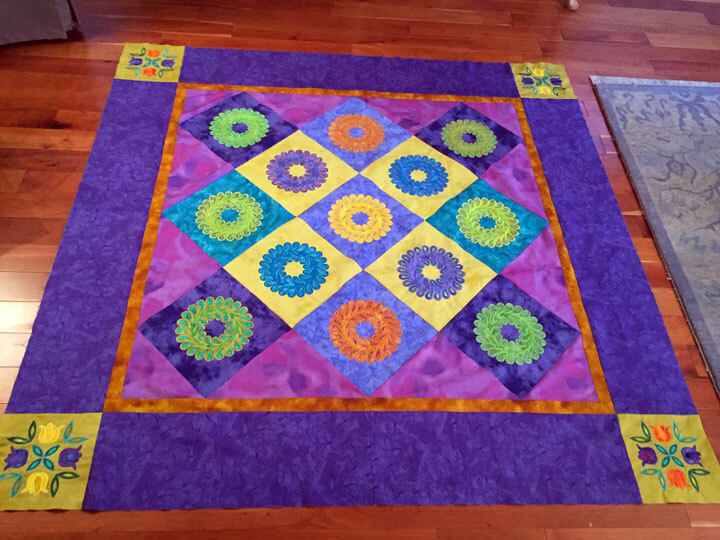 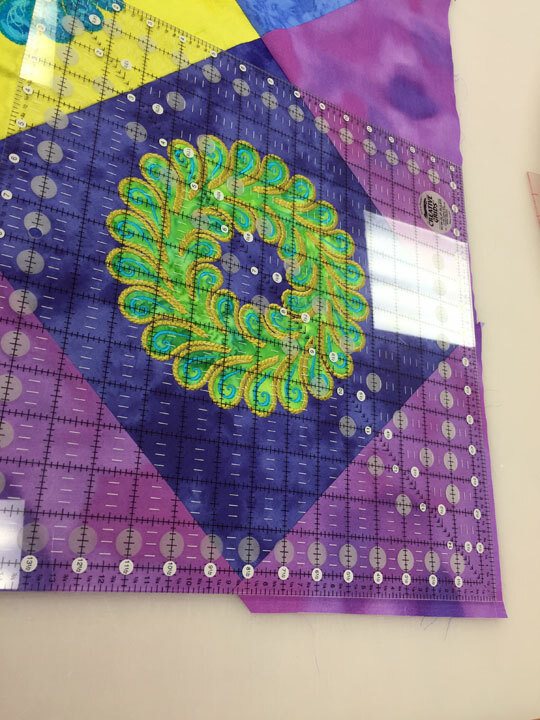 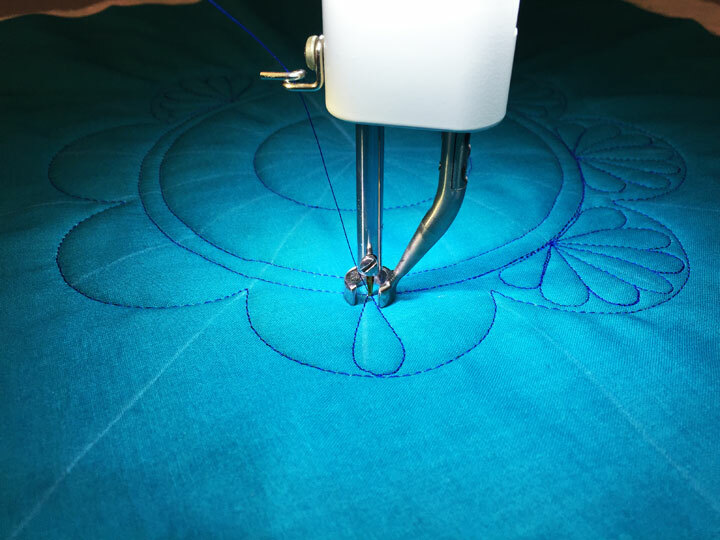 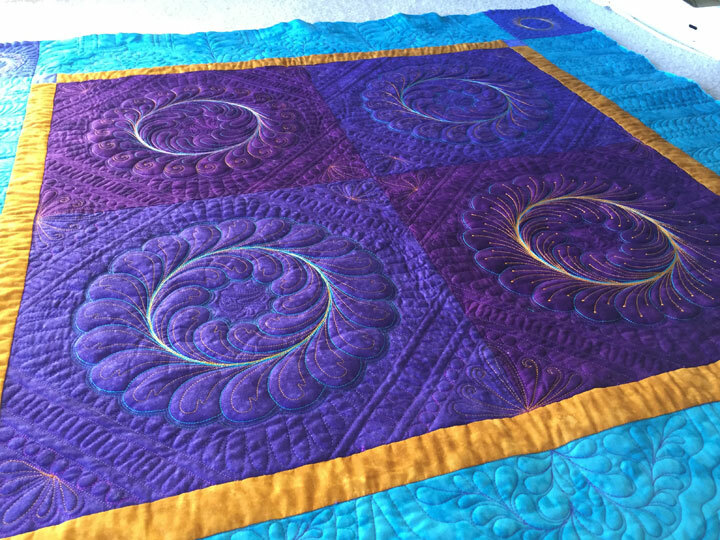 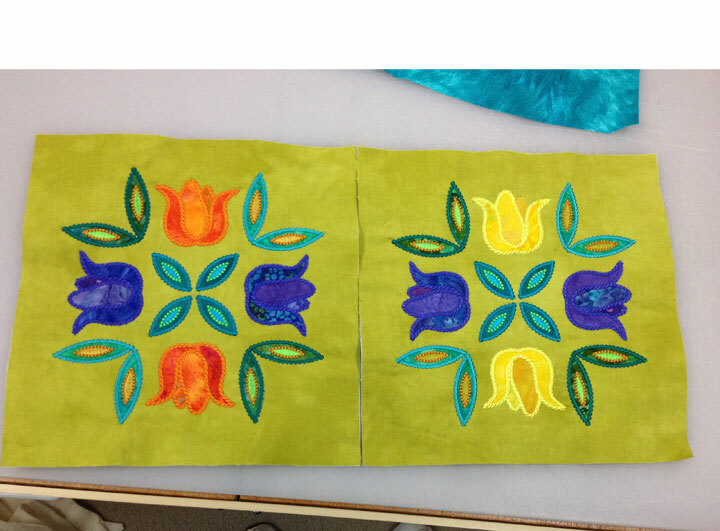 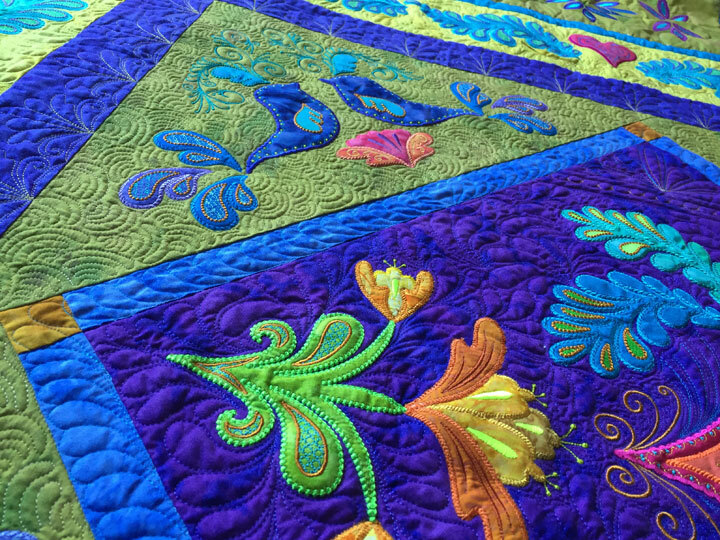 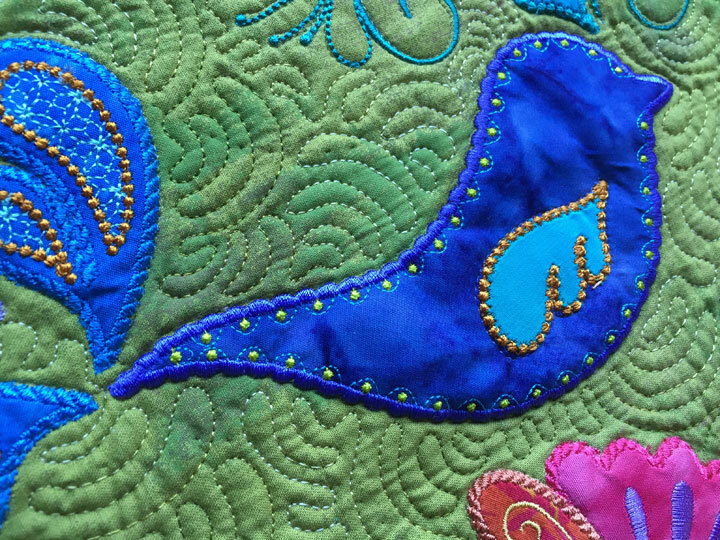 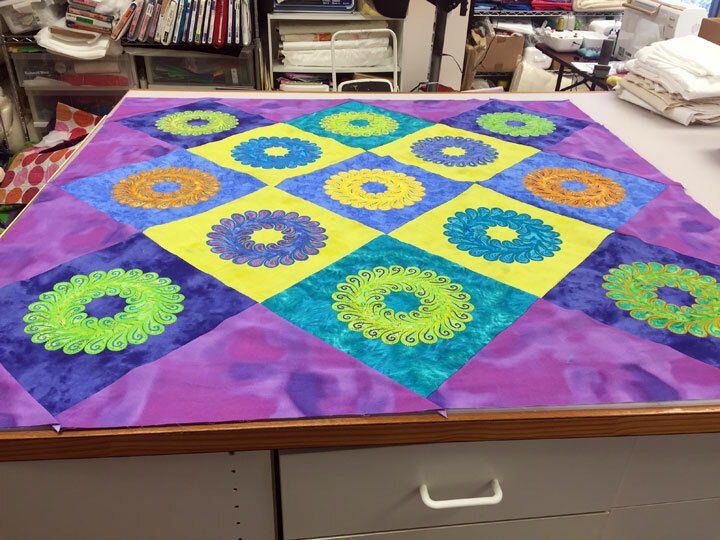 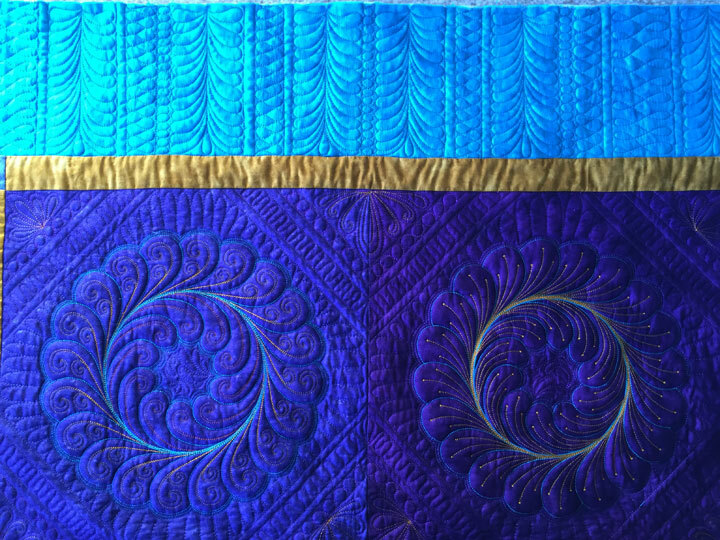 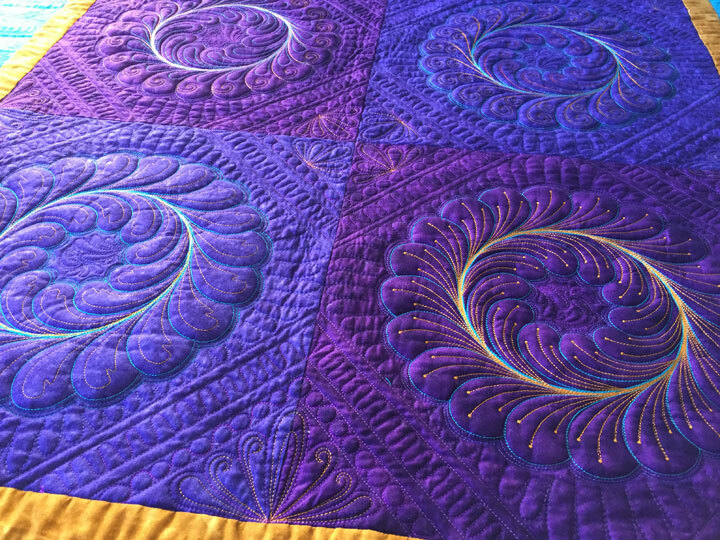 Once all the ruler work had been done in the “main body” of the quilt, I filled the space around the wreaths with the “fingertips design.” That design is a pretty quick and easy filler design around circular structures. 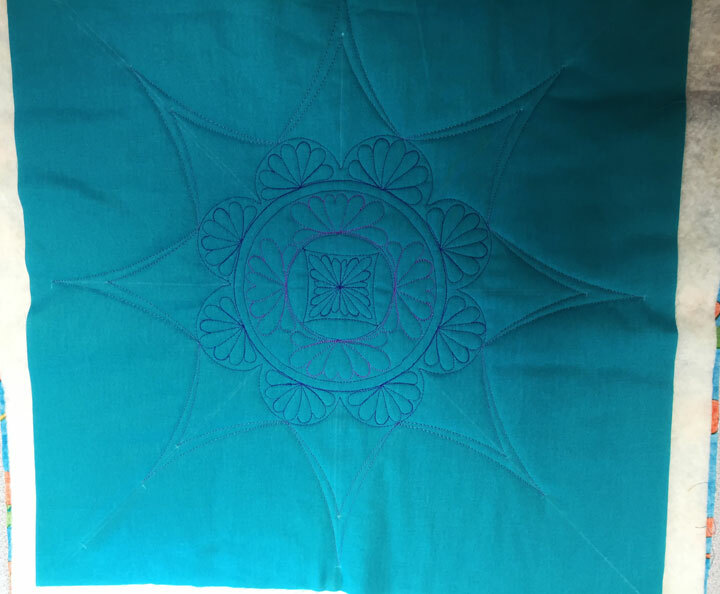 Notice the tiny wreath in the corner?…I got to use up 4 of my small test blocks there! 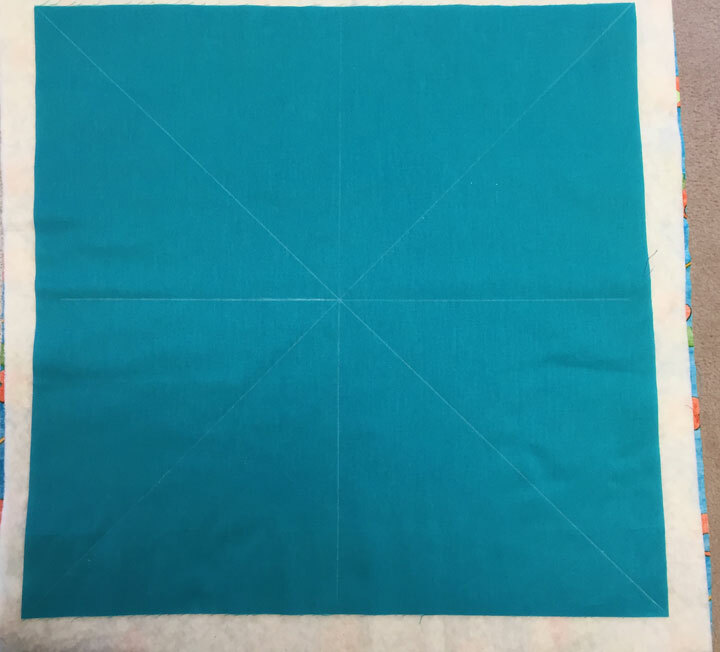 This has been a fun way to learn some new design strategies and it has had the added plus of eliminating a few of my mountain of test blocks. 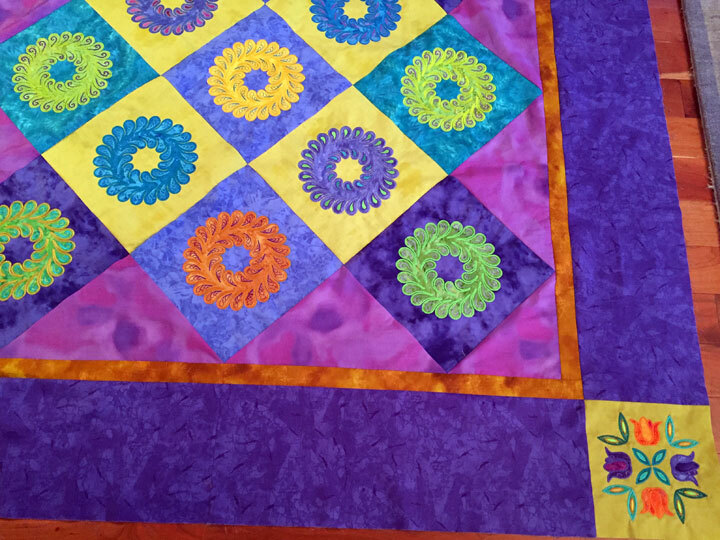 The quilt itself is nothing to write home about but I like the way the quilting came out.